Awards totaling $39.9 million will help 149 university researchers at 84 academic institutions purchase state-of-the-art research equipment, which will benefit science education, medical training and the preparation of troops. The money coming to UCF will purchase major equipment for projects in the Center for Research and Education in Optics and Lasers|College of Optics and Photonics (CREOL|COP) and the Institute for Simulation and Training in partnership with the College of Nursing. Professor Martin Richardson will receive $702,000 from the Army Research Office for equipment to develop an ultrafast, high-energy laser facility that will allow researchers from across the nation to study different areas of laser science in multiple atmospheric environments. The system will be assembled on the UCF campus and then moved to the Townes Innovative Science & Technology Experimental Facility laser range facility on Merritt Island. He is working with professors Matthieu Baudelet, Lawrence Shah and Magali Durand. Professor Kathleen Richardson will receive $627,000 from the Air Force Office of Scientific Research to purchase an advanced X-ray diffraction system for the development of novel infrared optics, high-power solid-state laser and nuclear detector materials as well as a variety of other material research and education programs largely focused on materials advances critical to the Department of Defense. She is working with professors Romain Gaume of CREOL and the NanoScience Technology Center, and Yongho Sohn of the Advanced Materials Processing and Analysis Center. Professor Sasan Fathpour will receive $324,000 from the Office of Naval Research for purchase of a plasma-enhanced chemical vapor deposition system that will enable preparation of thin films. He is working with professors Dennis Deppe, Peter Delfyett, Mercedeh Khajavikhan and Winston Schoenfeld. 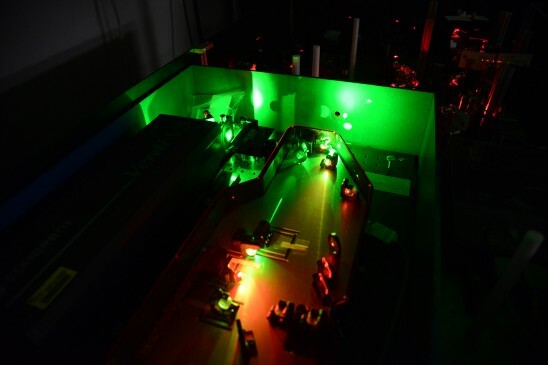 Professor Leonid Glebov will receive $149,000 from the Army Research Office for equipment to capture large-aperture holograms. The work will benefit the Army by allowing creation of Bragg gratings, a type of optical reflector, which are used in multiple applications. Professor Greg Welch from the College of Nursing, IST and the College of Engineering and Computer Science received $178,000 from the Office of Naval Research to purchase specialized humanoid robots with computer-rendered or rubber “skin” faces that allow the robots to perform as surrogate humans. The work he is conducting, along with professors Arjun Nagendran in IST and Charles Hughes in CECS, will create an integrated platform for testing and developing these surrogate humans and associated computer graphics and animation to assist in training for the military, healthcare and teaching. The Army Research Office, Office of Naval Research, and Air Force Office of Scientific Research fund the projects. They received 735 proposals requesting $278 million in support for research equipment. UCF, the University of Illinois and Rutgers University were the only universities to receive five awards. The other Florida universities receiving awards this year are the University of Miami and Florida Atlantic University, with one award each.